Tea is bliss in a cup. Long day? Sip on some chamomile tea to wind down. Need to wake up for a test? Peppermint tea will make you alert! Want to cleanse your body? Green tea packs a powerful punch with antioxidants. There are a wide variety of tea flavors and each comes with it's own special benefits. We review five teas and what you can get out of each one. Green tea is known for its massive load of antioxidants. Try to drink about one cup each day to reap the benefits. Green tea has a high potential to fight cancer and heart disease. It is the perfect complement to a wholesome breakfast. Get a healthy start to your day and sip a cup of warm green tea while you eat your toast! Peppermint tea not only keeps you alert, it has many health benefits as well. According to teabenefits.com, peppermint tea improves digestion, fights stress and clears congestion. Peppermint tea is a great way to finish a nutritious meal. For a super healthy dessert, bite into a piece of dark chocolate while you drink the peppermint tea. This is a wonderful combination because it highlights both flavors. Bonus: Peppermint tea fights bad breath! Chamomile has been dubbed the “sleepy” tea and for a good reason! Chamomile tea soothes the stomach, relieves back pain, relaxes the nerves and relieves muscle spasms. In short, the tea soothes, relieves,and relaxes. Sounds like a recipe for bedtime! Curl up with a good book and grab a cup of chamomile tea before bed to really relax and unwind after a long day. Lavender is the scent of relaxation and lavender tea creates this calming essence as well. Lavender tea calms the nervous system, treats migraines, eases abdominal pain and helps fight depression. This tea is perfect after a marathon day filled with homework, classes and meetings. Double bonus: brew a cup of lavender tea and take a bath with lavender herb for complete relaxation. Jasmine tea is another item to add to the heart healthy list. 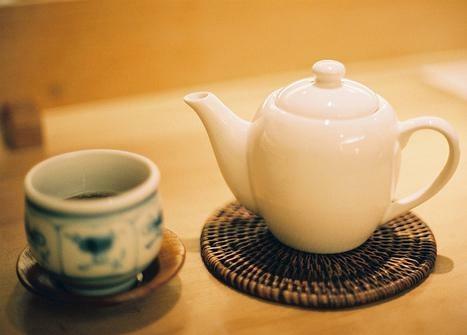 Jasmine tea decreases the chances of irregular blood clotting, heart disease, heart attacks and stroke. Of course a well balanced exercise program and diet are the main contributors to heart health, but a cup of jasmine tea will only increase the protection!